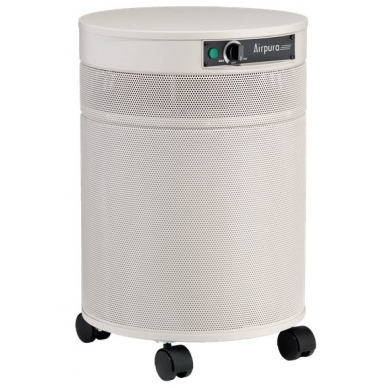 Airpura R600 is an ideal air purifier for the typical home, office, or workshop. This high quality air purifier focuses on airborne particles and gases and odors. Perfect combination for high quality basic filtration of airborne particles and gases and odors to assure that your indoor air quality is the safest for you and your family. Effective up to 2000 sq ft depending on model and speed. Also available in a whole home unit in black. Called R600-W. You can order the unit from us and have it installed by your favorite, local HVAC specialist. Please contact us for pricing. 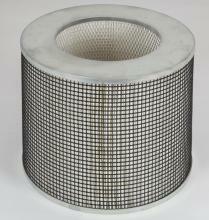 *Note: All filter maintenance is based on standard usage and average contaminants. 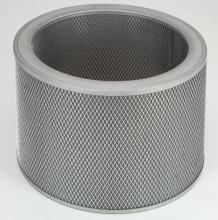 Depending on the specific situation, filters may need changed more or less frequently. Coverage: Effective up to 2000 sq ft depending on model and speed. Airpura Carbon Filter R600, R614, UV600, P600, P614 - Regular 2"
These are just some of the uses of this unit. Many contaminants fall into more than one unit so if you\'d like assistance finding the best unit for your needs, please contact us. Also keep in mind that numerous factors come into play when considering an air purifier such as but not limited to the contaminants, coverage (sufficient air changes for the level of off gasing), speed of off-gasing, particulate matter, sensitivities of the consumer and much more. The usages shown above are simply suggestions. Air Purification is not a black-and-white science. There is a lot of gray area that affects the results such as things that are out of our control like humidity or even the location of the unit. I wish there was just 1 unit for every need, it would make our job much easier, but there are trade-offs like sound for power and budget for filtration. Don\'t hesitate to ask especially if the contaminant is high. Superior Dwell Time: The 560 CFM impeller/motor combined with the variable speed control and unimpeded airflow of the Airpura 600 series allows the airflow to be set precisely and achieve maximum results. Download Airpura R600 Spec Sheet. Download Airpura Filter Maintenance Sheet.